We created a survival games. We believe it is the best one around! Up to 10 players! In Anamnesis, two separate adventures start you out in Waltersville, a town with a combination of modern and medieval features. The town is ruled by King Walter, whose imposing castle is a constant reminder of his rule. You awake in the town hospital, unable to recall who you are or how you arrived here. The doctor tells you that you were found near death on the outskirts of town. He doesn't know who you are, only that you now owe him a great deal of money. Unable to pay him, you have to promise to scrounge up some money to even be allowed to leave the hospital. Whether or not you pay him back determines your adventure. Either way, you'll find out some deeply hidden secrets that the King would like to keep hidden. In order to finish your journey, you will experience mazes, combat, jumping puzzles, treasure hunting, and complete-the-monument challenges. This map can be played with 1-4 players. This map works on 1.9. Rules: No breaking blocks, unless instructed to. Gold blocks indicate locations for levers or pressure plates. Once correctly placed, a plate or lever cannot be removed. Crafting of food, weapons, armor, and tools is allowed. Contents in chests can be used, unless a book or sign reads otherwise. The map is to be played on normal. Open to Lan for local multiplayer. Otherwise, multiplayer Server settings should be set to "difficulty=0" ; "pvp=false" ; and "enable-command-block=true". Enjoy the map! Important Tip: You should sleep often to track your progress. James_Meier and Benjamin_Alpha (the map makers) have created a Let's Play of this map to help people who get stuck. The fast paced videos are meant to show how to complete the storyline smoothly. There are also a few tips here and there about where to find supplies and emeralds, though not all secrets are revealed. A playlist has been created for each side of the adventure. Originally called five maze compilation. It has since been massively updated. Now there is a story and several little things were fixed. You decide to attempt to complete the five deadly mazes. Legend says that whoever completes all five of these mythic mazes will find the great gem, a giant diamond worth billions of dollars. No one in the history of minecraftia has completed them. Will you be the first? All five mazes are original and different. One is a GIANT hedge maze another is one made out of glass! Any feedback is great. Was it good? Was it awful? Did you love it? Did you hate it? Leave a comment here or leave a reply on the minecraft forums. Thanks! My FIRST project ever!! It's basically work of pokemon as the title says. The map includes the following; poke mart, poke centers, Gym Leaders, your very own house and personal safari, and everything else awesome! It is not 100% completed, but when i get ideas, i will include more into the map and update the map. all mod versions are 1.6.4 ALSO make sure your mine craft version is at 1.6.4 too! the Forge is; forge-1.6.4-9.11.1.935-installer the forge should be on the downloads link on the pixelmon website! The resource/texture pack I'm using is from this website http://pokeballers.com/forum/m/14209422/viewthread/8477901-pokeballers-textureresource-pack it is recommended to use this texture pack for the best quality on this map. PLEASE stay on survival/adventure mode. this will make the map more fun! 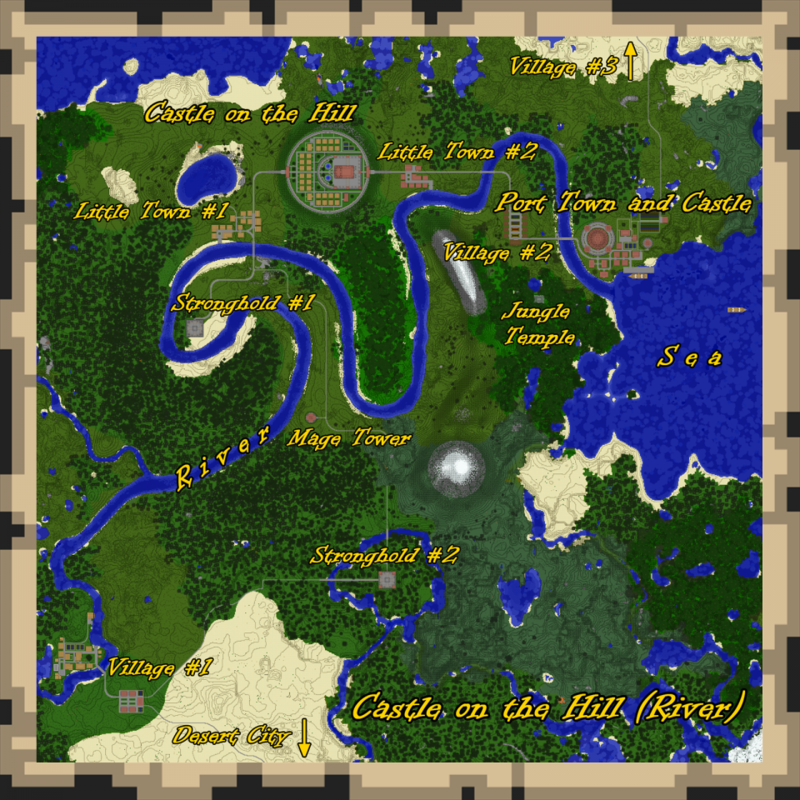 I hope you all enjoy this map and DO NOT steal or edit the map without me knowing! You MAY use this map for youtube. but please credit me. Follow the rules throughout the town and the guide book that is in the map. It will help you.